← NC NAACP Email On Orlando: White People, Racism, Bigotry To Blame. Not Islamic Terror. Parents, Are You Keeping Tabs on #HB401? 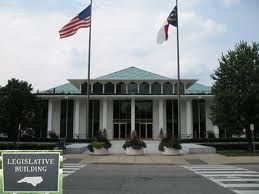 Last year, I wrote two articles on HB 401, Authorize Data Sharing for NCLDS, which seeks to increase student data collection and the sharing of that data with multiple North Carolina government entities. The sponsors are Blackwell, Saine and Cleveland. It passed the House 111-4. The bill is currently still stuck in the Senate Info-Technology committee, but it is on the list of eligible bills for the current session. Parents need to make sure it never comes out of committee. CALL. YOUR. SENATOR. Disclosure of Social Security Number. – The social security number of an applicant is not a public record. The Division may not disclose an applicant’s social security number except as allowed under federal law. A violation of the disclosure restrictions is punishable as provided in 42 U.S.C. § 408, and amendments to that law. (1) For the purpose of administering the drivers license laws. (2) To the Department of Health and Human Services, Child Support Enforcement Program for the purpose of establishing paternity or child support or enforcing a child support order. (3) To the Department of Revenue for the purpose of verifying taxpayer identity. (4) To the Office of Indigent Defense Services of the Judicial Department for the purpose of verifying the identity of a represented client and enforcing a court order to pay for the legal services rendered. (5) To each county jury commission for the purpose of verifying the identity of deceased persons whose names should be removed from jury lists. (6) To the Office of the State Chief Information Officer for the purposes of G.S. 143B‑426.38A. This entry was posted in EDUCATION, LL1885, NCGA, The Articles and tagged Data collection, HB401, P-20W, SLDS. Bookmark the permalink.